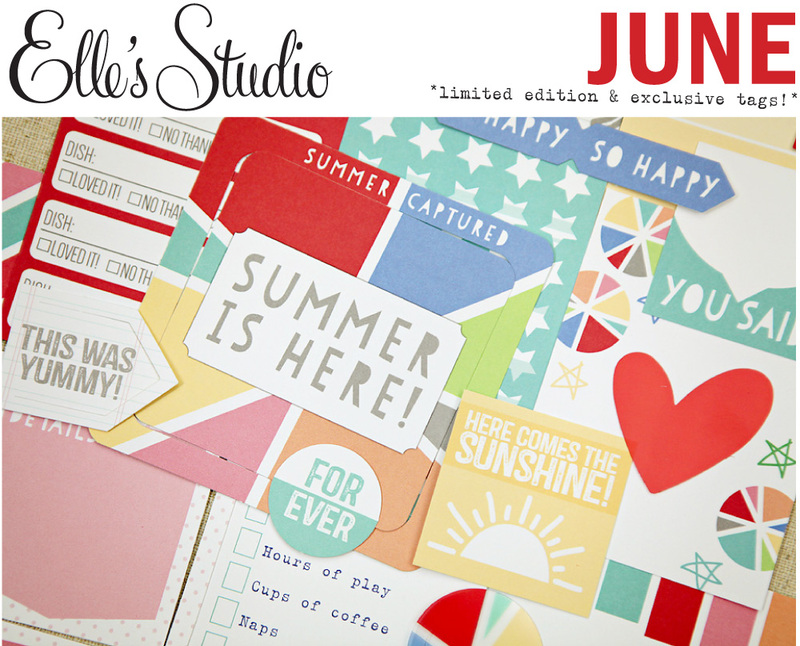 It's the 10th of the month and that means it's time for Elle's Studio June Launch! This month's launch is HUGE! 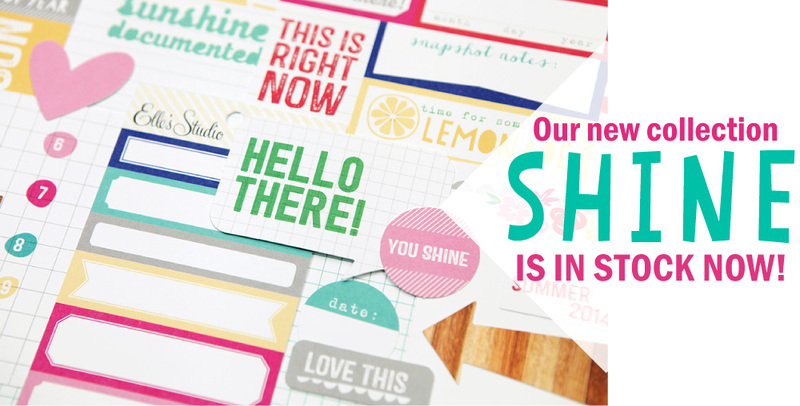 Along with the release of the new Shine collection, this launch includes the exclusive June Kit, exclusive Foodie Mini Collection, coordinating stamps and wood veneer for both collections, and two new digital cut files. You must stop by the Elle's Studio website to check it out! And to make it all that much sweeter, there is FREE shipping this week! 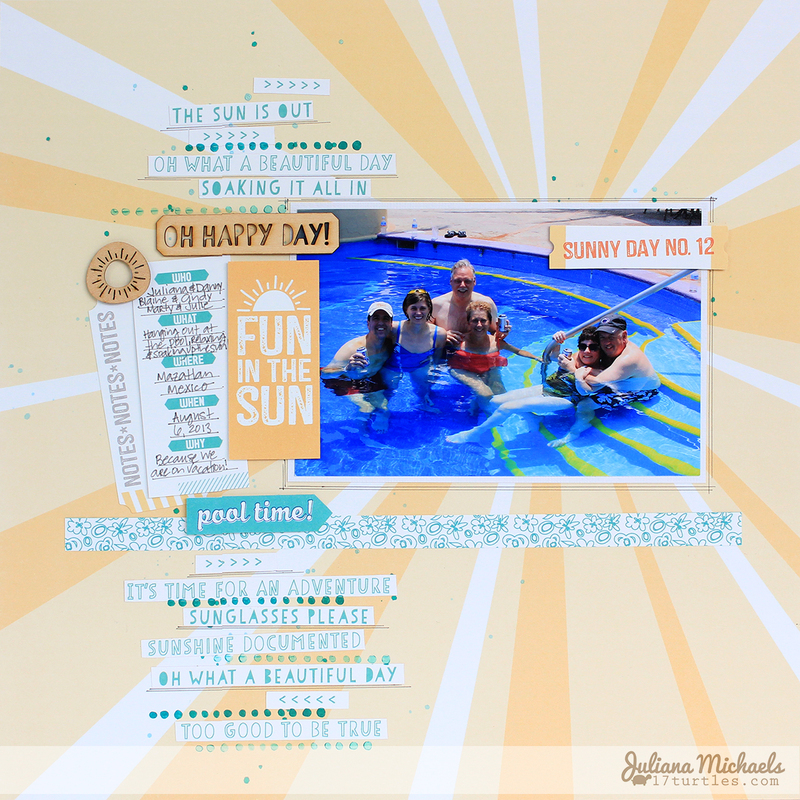 The layout I am sharing today was created for the June Design Team Gallery using the new Shine collection - including the papers, wood veneer, stamps, and die cuts! For even more ideas and inspiration, make sure you visit the Design Team Gallery today! 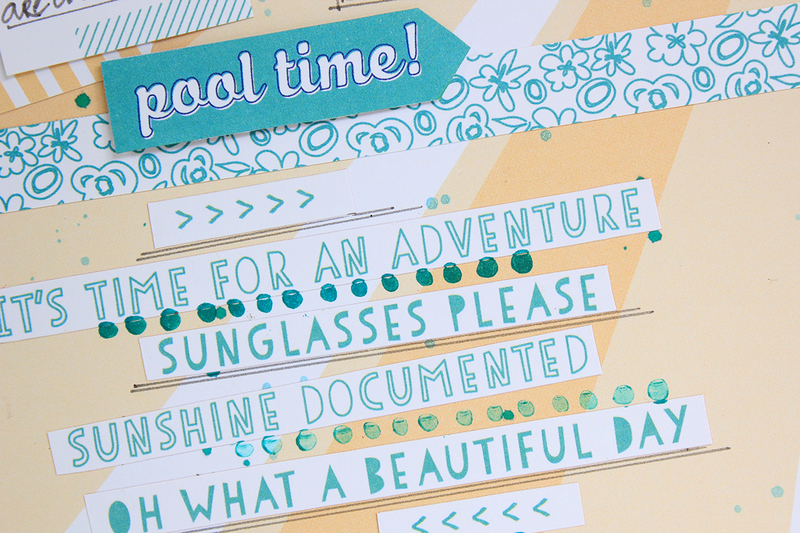 I enjoyed fussy cutting some of the phrases from the Shine Beautiful Day paper. I then added some stamping, ink splatters and doodling. And just so you know, the new Shine collection is now available in the Elle's Studio Shop and there is FREE shipping this week! So why not pick up this collection along with some of the new June exclusives?! great layout ! love the aqua journaling ! Such a cute page, Juliana!! 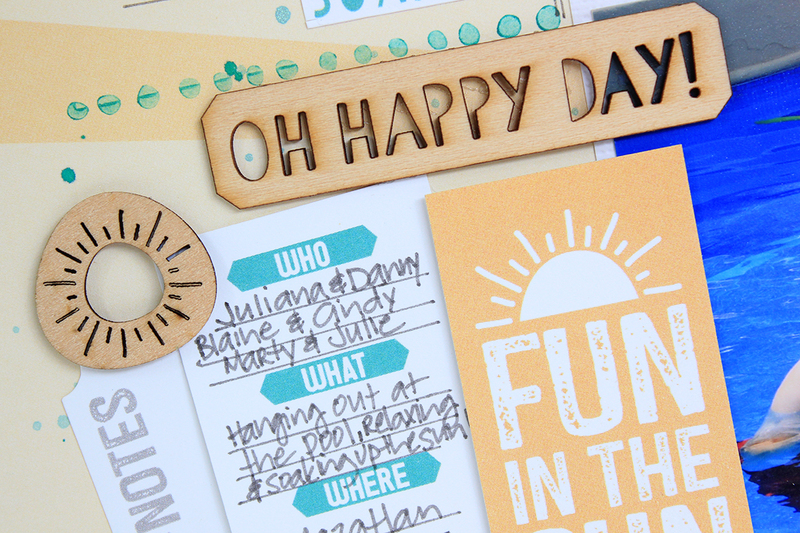 I love how you cut the text paper and used the strips on your layout!! So beautiful! LOVING the colors and the wood bits!!!!! !